For the past two years there has been a homebrew competition in Bangor and the winner gets to brew their beer at Penobscot Bay Brewery and have it distributed to local bars and bottle shops. Quite a treat for a homebrewer. 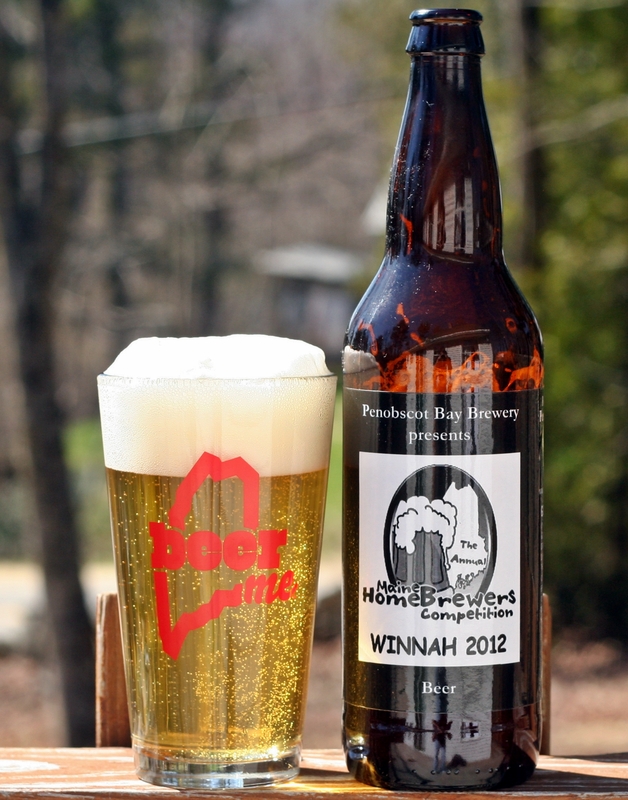 In 2012 the winner was Zafra Whitcomb with this Sorachi Ace Pilsner. If you have followed my blog for any length of time you know I don’t drink pilsners very often so I was quite surprised when I opened and really enjoyed this one. The beer pours a very pale yellow – looks like a Bud or Miller with a huge white head. It took a few minutes to get the glass full enough for this photo. Not a lot happening in the aroma but it does smell crisp (if that is possible). Taste follows with nothing too outrageous but very clean and easy to drink with quite a lot of lemon flavor. This would be a great beer to have a growler of for a summer picnic or family gathering. Certianly one of the best pilsners I have had. If you come across a bottle in a local shop you should pick it up. Hey James – FYI, it came out at 5.1%, 42 IBU and 162 Cal/12 oz. Glad you liked it!